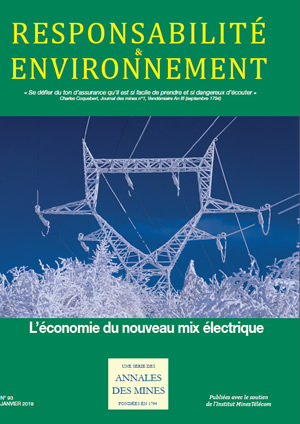 Publication of the article “The electricity transition: Between markets and policy objectives” by Jacques Percebois in Responsabilité & Environnement, a series of Annales des Mines (N° 93 – January 2019 – The economics of the new electricity mix). In Europe, liberalizing the electricity industry has brought along regulations for boosting the penetration rate of renewables, such as solar or wind power. The existence of natural monopolies (grids) and the preservation of the general interest are forcing public authorities to accept several exceptions to the freedom to compete (sometimes with deviant effects). The market alone cannot orient long-term choices about energy, but it does stimulate innovation and efficiency.